NCA is a proud participant in City-As-School’s internship program, which pairs high school students with local organizations and businesses for real world experience and education in appropriate academic subjects. We began working with CAS in 2018 and want to formally welcome our new pair of interns who will be joining us for the 2019 winter cycle. Here is a little background from each of the students in their own words. When I was researching what was being done at the Newtown Creek Alliance the thing that was most interesting to me was research to measure the ecology around the creek, air quality, as well as water pollution. Back in the days before regulations, waste companies and oil companies were what surrounded the creek and caused such rapid pollution. The work being done here in the present is in an effort to reverse these environmentally harmful things that were done and are still going on to a lesser extent. I personally enjoy being out working with my hands and observing the environment around me and I hope my time at the Newtown Creek Alliance teaches me how to do these things in a more scientific way. I am very interested in what the results of the data being collected on the water, air and plant life in this area will yield by the end of my time here. The organization is for a good cause, and there’s good work being done here regarding environmental study and preservation. 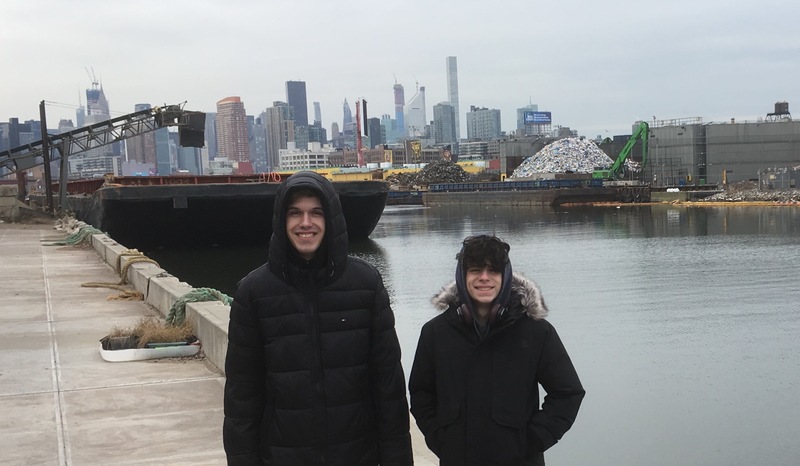 I chose to work at Newtown Creek Alliance (NCA) because I wanted to learn more about the creek and what the organization does. Also, Im interested in the NCA Vision plan and what they hope to achieve with it. My favorite things to do are skateboard and write; normally I will do a lot throughout the day. My goal with the internship is to find a project that suits me and can benefit me and the NCA. Newtown Creek Alliance is in Greenpoint, Brooklyn. Hopefully conditions will improve from 2018 when abnormally high levels of rainfall led to an increase in #combinedseweroverflow and some horrific water quality results. Image 2 shows the last 3 years of collection across 5 sites in the Creek. As seen, the sewage indicating bacteria Enterococcus was well above #cleanwateract standards. Remember to conserve water during rainstorms to combat CSO and help protect places like Newtown Creek. "TF Cornerstone as part of the plan would provide 3.6 acres of public space adjacent to Newtown Creek. The space, while remaining in the hands of TF Cornerstone, would essentially be an extension of Hunters Point South Park. The reaction of the Community Board 2 committee was mixed. Some liked the concept of creating green space where the yard is and seeing the north and south sides connect. But there was concern about the influx or residents that the plan might bring, even if it brings affordable housing that now come with all rezonings. " Wow, beautiful illustration from @libbyvanderploeg of Newtown Creek wildlife. There is definitely documentation for *most* of these creatures.